Did you even know that you could actually transfer frequent flyer miles from one airline to another? You should certainly read on if you only need a few miles to get a free flights or you have some miles close to expire that you already gave up on. The answer to your problems of getting those miles you need or ‘recycling’ the ones that are about to be expired is transferring them to another program! The below chart will show you what are the best and weakest transfer rates for different programs and airlines – if you’re a frequent flyer, you should really know how transferring your frequent flyer award miles works. 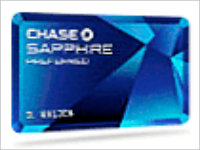 I would recommend you to acquire a Chase Saphire Preferred Card with 50K bonus points, then you can easily convert the points at a great 1:1 rate to boost your airline accounts by just calling Chase Saphire. You can also acquire an account Starwoods Preferred Guest and a Starwoods card, with this Starwoods card you get 10K award points – you can transform those to the same amount of American AAdvantage or Delta Skymiles bonus miles or 5K United Mileage Plus Miles, you just have to make a call to Starwoods. Hilton Honors can be used as a middleman for award mile transfers, but they transfer with a very bad rate. Amtrak is good for Continental points, but has got its limits. Points.com allows you to transfer miles from one program to another, it is costly in terms of points and cash alike, but you might want to take a look at it still. There are some programs where you cannot transfer directly, but if you really need to, for those you can use third parties like Amex, Starwood or even Hilton Honors if you’re very desperate. Very good rate for conversion, if you need to top up a program use Starwood! Increments of 5000;90% reduction in value, but if the points are going to expire or never be used anyway, using Hilton as the transfer is a method of last resort.